Snapchat may soon feature news stories and ads. Yahoo is reportedly in talks to invest millions of dollars in Snapchat, the time-restricted photo messaging app, thought to have 100 million monthly users and zero revenue. The company is reportedly close to investing in a round that would give Snapchat a value of $10 billion, one of the highest valuations in history for a company that makes no money. 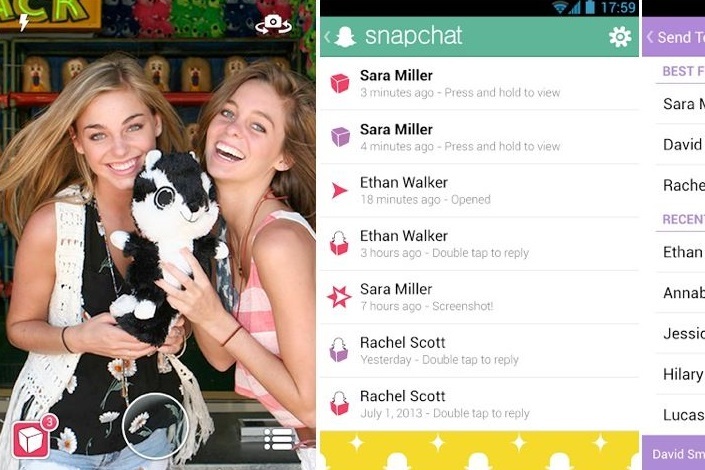 Snapchat allows users to send messages that self-delete a few seconds after being seen. The start-up is apparently considering bringing brands into the fold, trialing disappearing news articles and ads. It is believed that Yahoo will use some of the cash made from the sale of its stake in Alibaba. The Chinese e-commerce giant went public last month, giving Yahoo $9 billion before taxes. Yahoo said it would give half that cash to shareholders, but has not laid out its plans for the other half. Putting money in Snapchat could give Yahoo a much-needed shot in the arm at a moment when the company's core business is struggling. Despite buying into Tumblr, another platform popular with a young audience, the $1.1 billion acquisition has yet to deliver a boost to revenues. That's despite the fact that multiple brands make use of Tumblr, including Calvin Klein, Coca-Cola and Disney. Earlier this year, Facebook bought messaging app WhatsApp for $19 billion but ruled out any possibility of ads.